Deuces & Jokers Poker by BetSoft is a different variation of Jacks or Better games. In this variation, the four deuces (twos) are counted as wild cards. Deuces can be used as any card to complete a winning hand. Poker hand variations are a little different too, the highest hand you can get is a Five of a Kind. Deuces & Jokers Poker is probably the most basic variation of classic poker, and it is preferred in most home parties. 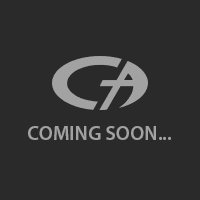 BetSoft presents us the digital version, which uses the most basic interface possible. We are not kidding, the game looks like it is from the 70’s. The interface is basic, but it is also easily understandable. You start by setting your coin value, which can be between 0.02 and 1.00 per round. At each round, you can bet between 1 and 5 coins. In other words, the maximum bet accepted is 5 coins. To the top, you can see the paytable. It has five different rows, and each row represents a different bet level. The payout values differ according to the amount you bet, for example, Five Wilds hand pay 2.000 coins if you play with 1 coin only. However, the same hand pays 10.000 coins if you prefer to bet 5 coins. In other words, always play with the maximum bet values to get the highest payout possible. To the bottom, you can see the poker cards. Click on the “deal” button to get your first hand. As we mentioned above, twos count as wild and can be used to replace any card you need to form a hand. Click on the “hold” buttons for the cards you wish to keep. After that, press on the “deal” button once more. New cards will be dealt in exchange of the cards you didn’t hold, and if the final result is a winning hand according to the paytable, you get paid. You have 10.000 credits in the demo mode, which is more than enough for hours of free play. 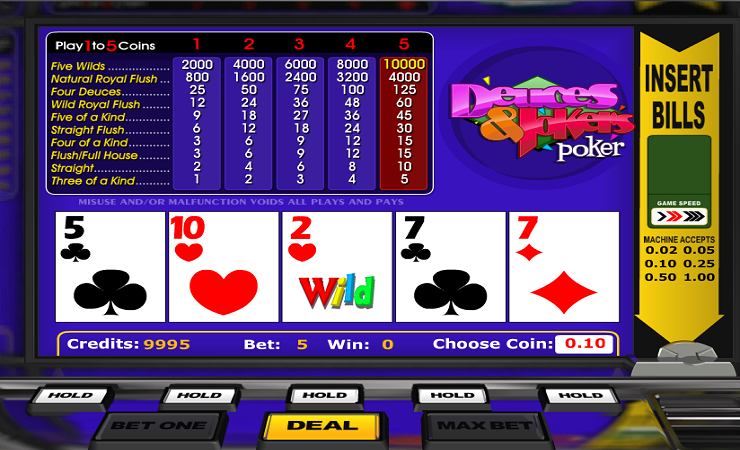 Deuces & Jokers Poker is a very simplistic game and can be recommended to beginners. If you are looking to play poker games for free, it can be a nice option. However, if you are interested in complex forms of poker, it is better to look elsewhere. Play at Casino Avenue to find a game suited for your needs!